Gosh I haven't made an entry on the blog for a long time. More on that later. 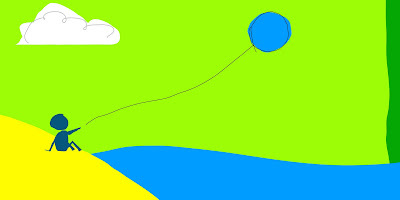 In the mean time, at Smallfish Books we have a new series of books - the first of which is called "If I had a Red Balloon" - which will be published in the UK before Xmas. 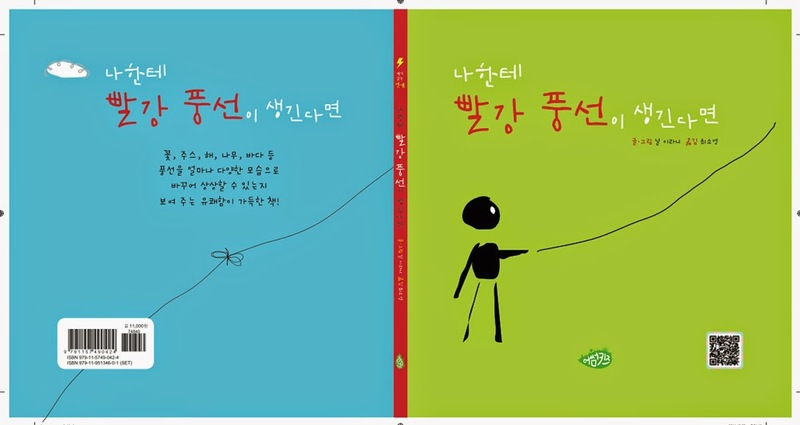 In the mean time it is being published (rights sale) in South Korea. Here's the cover. There are two ways of doing this - both of which I'm exploring. 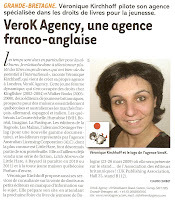 The first is to go it alone, setting up everything, and the second is to go via an aggregator like Lulu or Smashwords. I'm starting both today and will post how I get on with both methods - including (hopefully) revenue streams with the same cover price. The first step is to create two ePub books - which is probably the easiest part. I'm using iWork Pages which seems to do the trick, and lets me preview on iPhone and iPad very easily. 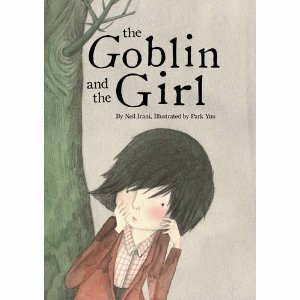 We're very happy to announce a licensing deal for The Goblin and The Girl in association with Maverick Arts Publishing. The license is to publish in English for the UK & Ireland. We'll be doing an initial run of 2,000 copies. We're very happy with a few layout changes from Maverick and we feel that The Goblin and the Girl is now ready for launch in the UK. We've been hard at work producing five new books including the follow-up to "The Goblin and the Girl". 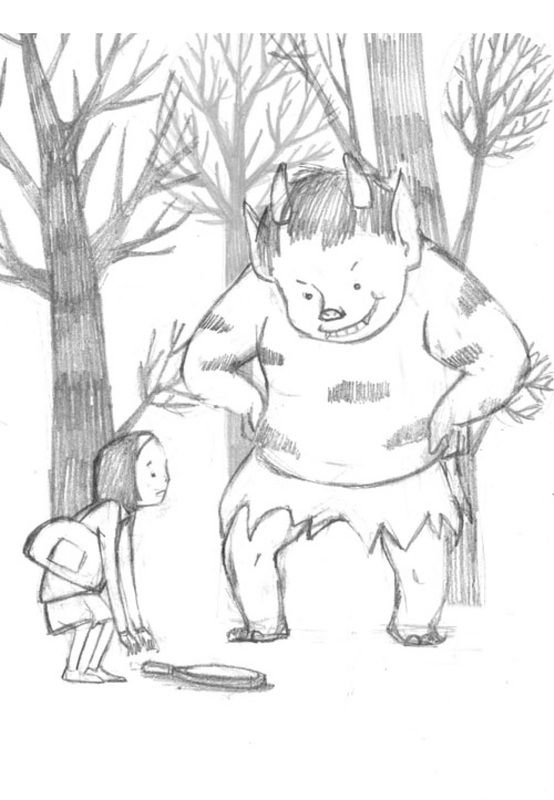 Here's a b/w sketch from the book. 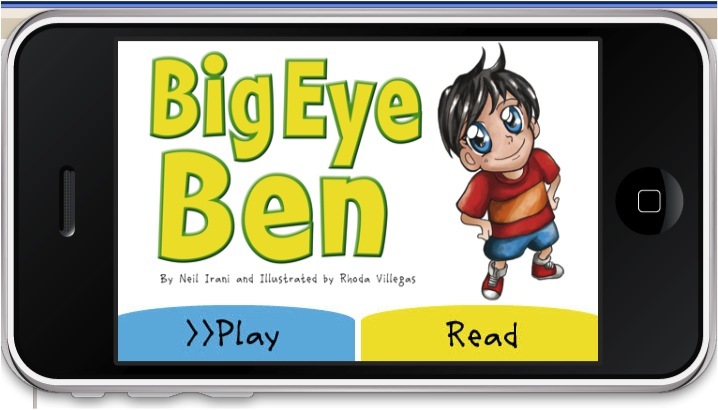 I've been experimenting - getting a picture book formatted for Kindle. Most of the tools are useless - they don't give you the control you need to ensure the correct layout. The best way I've found so far is to export all the illustrations and then put the text below - with a page break to make sure each page is separated. More on this later - am hoping to register my first Kindle book soon. 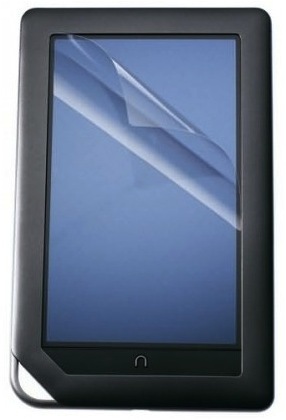 I've decided to write some stories specifically for the Amazon Kindle. The formatting is very easy - just using MS Word, but I'd like to add some basic b&w illustrations for flavour. 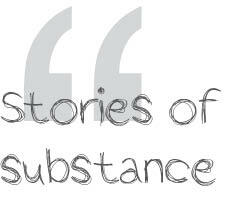 By the nature of the medium, the stories will be for the 10+ age range. I already have 7 stories in progress - but am trying to work out how many pages would be right. Probably 100 or so for the first few stories. I'm experimenting with a few styles using very strong and bold colours - mainly for stories for younger children. Here's one of the test illustrations. I've finished the first draft of the follow-up story to The Goblin and the Girl. 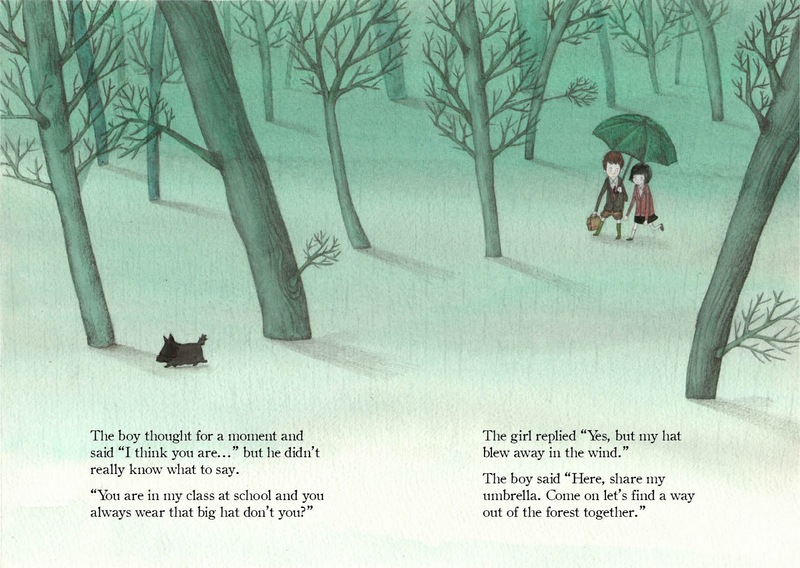 It features the girl and the boy, and a strange new character who the girl comes across in the woods. I'll post some character design as soon as Yun gets to it! 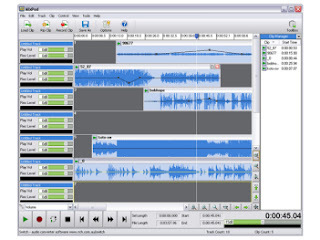 I've been struggling to find useful audio editing software for the mac for audio-book narration. I tried Audacity but it kept crashing. I finally found MixPad (mixing) which works very well in conjunction with WavePad (editing). Both free which is astounding given how useful they are. 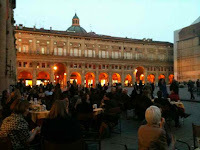 Here's a shot of the beautiful Piazza Maggiore in Bologna where we had a couple of beers after the fair - about 10 mins walk from the central station where my hotel was. A great place to relax after a hard days work meeting agents, publishers, buyers, sellers, software companies, authors and illustrators! And here's a closer shot of my stand - I had an excellent banner with the iPhone apps which drew in many many people over the duration of the fair. 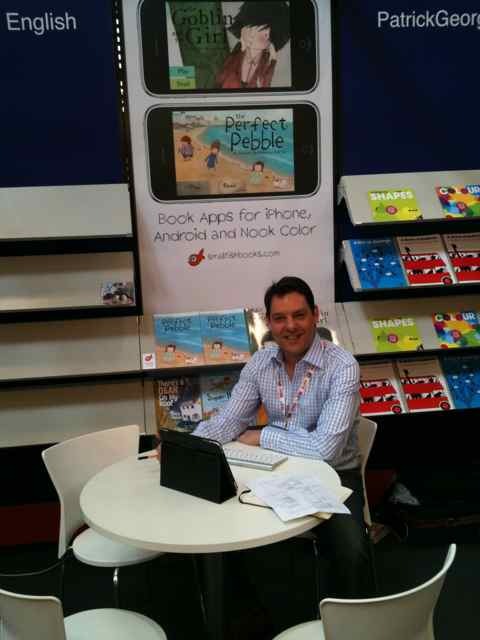 Here's a photo of me at my stand in Bologna. Just got back yesterday - had some excellent meetings with publishers, agents and potential clients for book-app production. More on this later. I'll be at stand 25-B-84 in Bologna - fully booked from Monday to Thursday - but if you're going to be there please drop by. It's been a while since the last posting - am off to Bologna on Monday for the International Children's Book Fair. I have two book apps on iPhone, iPad and Barnes & Noble Nook Color - and they look great! I bought an iPad at the weekend (yes the old one) - and a very nice machine it is. I've been working on transferring the book-apps to the iPad with mixed success so far. It's not 100% compatible with the iPhone software, and annoyingly it's not the same aspect ratio as the iPhone so I have to re-format all the illustrations to make it fir and look good. Am still getting excellent help and support from the guys from Corona in Palo Alto. 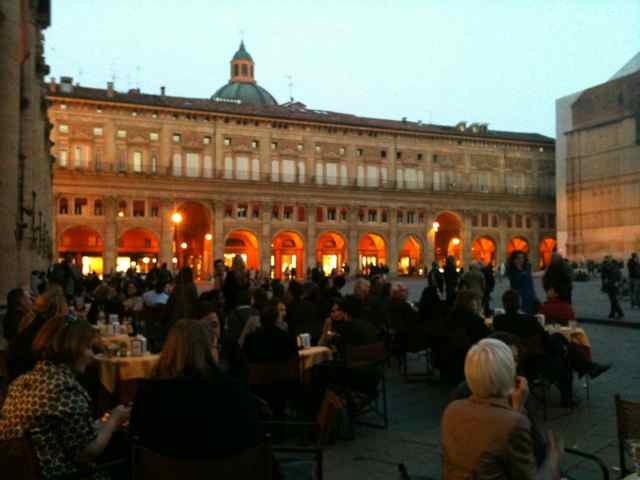 We’re gearing up for Bologna 2011 and we’ll be at stand 25 B 84 as part of the UK Publishers Association. New this year are iPhone apps and a series of four bright and colourful books to help young children get a sense of geometry. 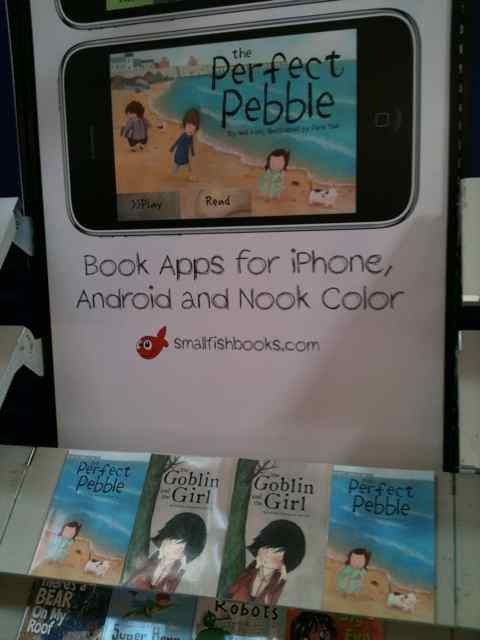 I've been working on formatting The Perfect Pebble book app for the Nook Color. This presents one big problem in that the aspect ratio is different from the iPhone or Android - it is 2508 x 1254 which is very "Cinemascope" - difficult to cater for when the original illustrations for the book are portrait. The Perfect Pebble book app and video are finished - will be available on iTunes as soon as Apple approve the app. I have some excellent news coming soon about releasing my first book app in collaboration a Palo Alto company and a major book chain. The apps look great (because I built them myself) - it's really easy if you have some basic VB skills. 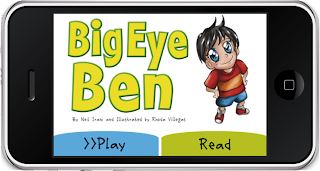 I’ve finished the first book app (Big Eye Ben) and am half way through the second (The Goblin and the Girl). They’re looking great in the Corona Simulator, but before I can test them out on the iPhone and Android, I need to register Smallfish Books into the Apple Developer Programme. I’ve filled in the forms and should be able to download the Apple SDK soon. Membership for this is US$99 / year, and it’s US$349 / year for the Corona membership. It’s not as easy as I thought it might be, but Carlos M. Icaza (co-founder at Corona in Palo Alto) has been very helpful in getting us off the ground. 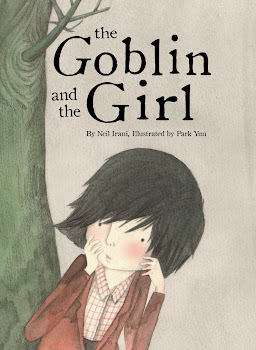 The Goblin and the Girl makes the Best New Books List on Parents in Touch. When the girl looked in the mirror, she thought she was a goblin. She was ashamed of the way she thought looked and hid herself away as much as possible - but everyone else saw a normal little girl. One day she found herself in the forest, without the hat she always wears to hide behind. She doesn't want the boy to see her but they do walk and talk together, and things change. There is a real message for all of us in this story, especially in an age when we are all so concerned about outward appearance. With charming illustrations by Park Yun, this is an enchanting and thought-provoking story. 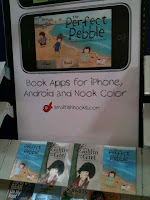 The Perfect Pebble makes the Best New Books List on Parents in Touch.
' ... because sometimes looking for something can be more fun than finding it.' 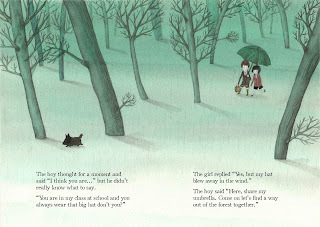 This is another picture book which carries a really important message, put across in a lovely way. 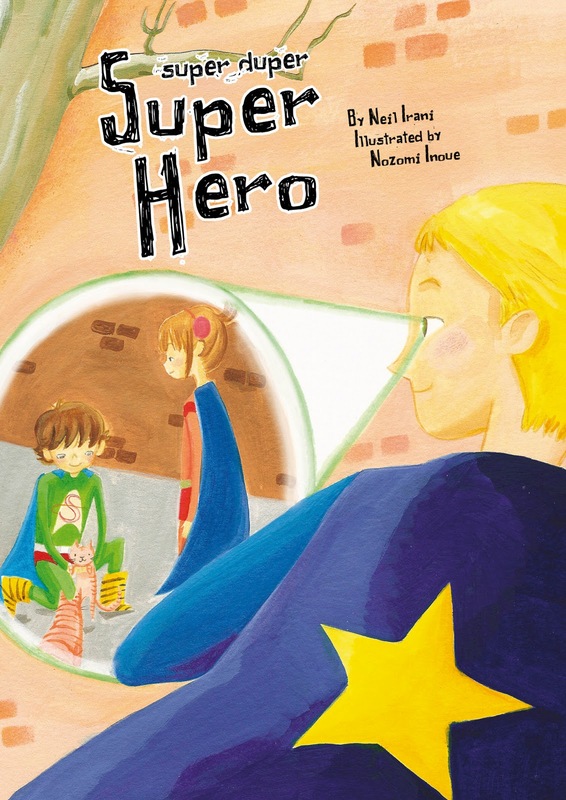 I think it is a lovely book to share with children, both on a superficial level as an enjoyable read and on a deeper level to learn what is really important in life. 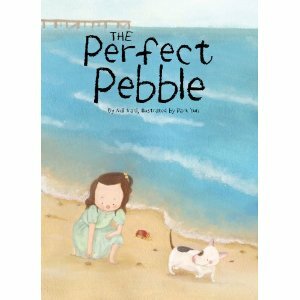 Every day, the friends had a wonderful time on the beach, looking for pebbles - but one day, they find the perfect pebble and then it all goes wrong... Park Yun's enchanting illustrations are the perfect complement to the text. 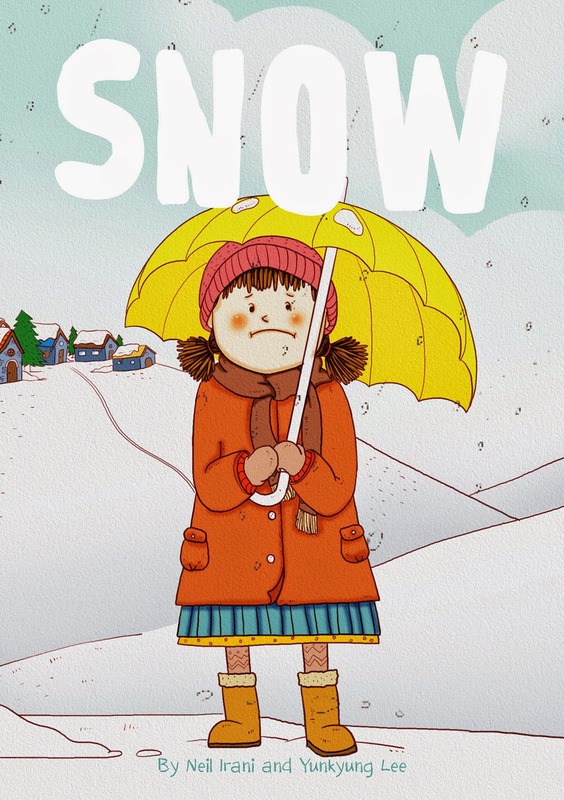 The Perfect Pebble and The Goblin and the Girl make the Best New Book List on Parents in Touch - Best New Books - Click on 0-5 to see the reviews - or just click here. 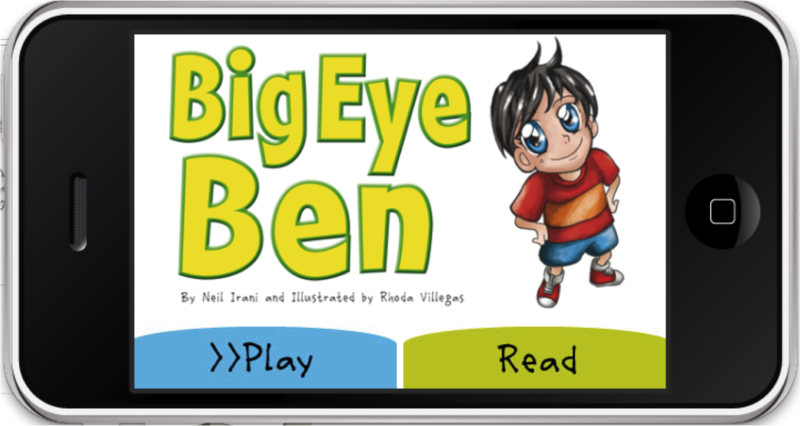 I've been working on my first book-app which is almost ready for sale on iTunes. 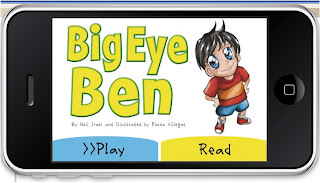 It's reworking Big Eye Ben which has translated to the iPhone quite well. More news on this soon once it's online. 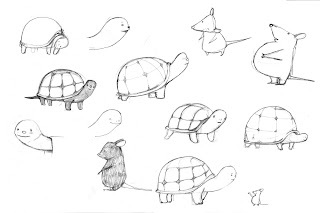 Looking to re-illustrate the first ever Smallfish Books book called Tortoise George. 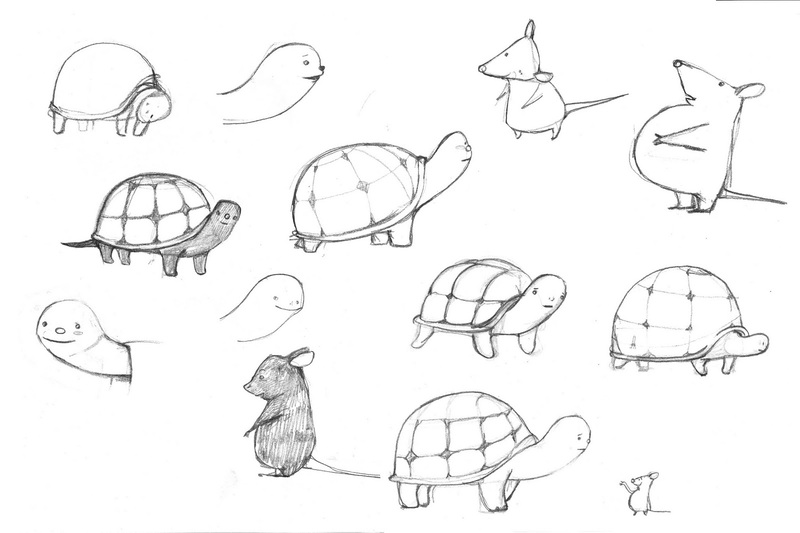 Here are the initial sketches. 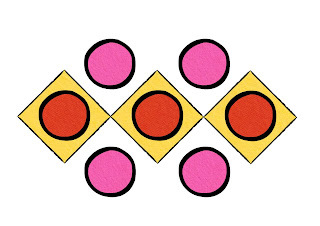 We're publishing four new books which feature simple geometric shapes. 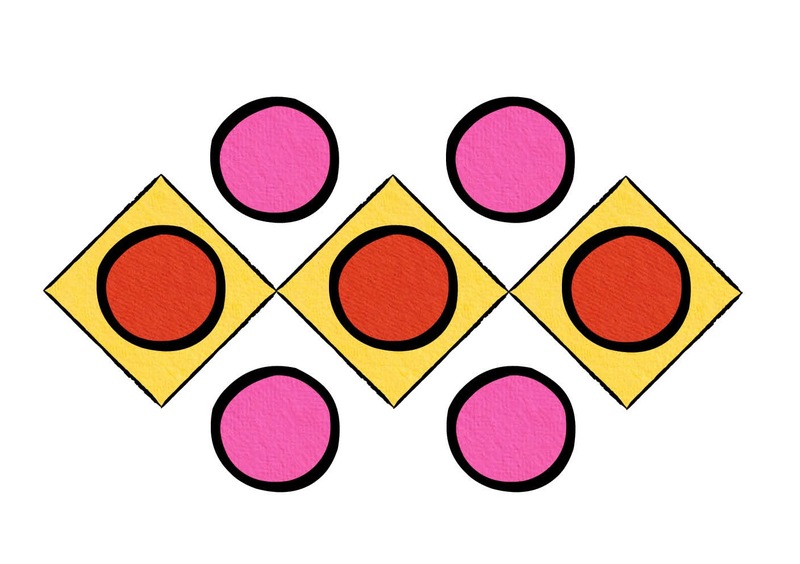 The "stories" are intended to help to teach fundamental maths through seeing (rather than counting) shapes and their relationship with each other. Here's a quick sample. Work in progress on the Super Hero series. Here's the cover for the ninth in the series. Have installed Corona on Snow Leopard and am already making some iPhone book apps - very interesting developments.